Are you a hunter, rock climber, mountain biker or another form of an outdoor thrill seeker? Or perhaps you’re part of a security crew or work in the military or law enforcement. Whatever group you fit in, you probably have to deal with a variety of harsh conditions, such as rocky terrain, frigid temperatures, rain, or other forces beyond your control. In those situations, it’s dangerous and life-threatening to be caught without the right clothes. With that being said, if you’re planning to buy tactical clothing that’s comfortable, durable and most importantly protective, here are some tips that can be of great help. The fabric your tactical clothes are made of will serve a double function – keep you protected and comfortable. With that being said, it’s important to make sure you choose the right fabric when you buy tactical clothing. The type of climate is key to making the right decision. For instance, if you’re looking for clothes to shield you in cold conditions, pure cotton or a cotton/poly blend will allow you to stay warm and dry thanks to their insulating and moisture-wicking properties. But if it’s hot and humid, you’ll have a miserable time running around in cotton clothes. In that case, it’s best to choose a lighter, synthetic fabric that will allow your body to breathe better. Just like everyday clothing, appearances also matter in tactical clothing as well. However, in this case, instead of wanting to be seen, you should aim for blending in with your surroundings. For instance, if you’re choosing hunting clothes, a camouflage pattern can allow you to sneak up close to the prey undetected. 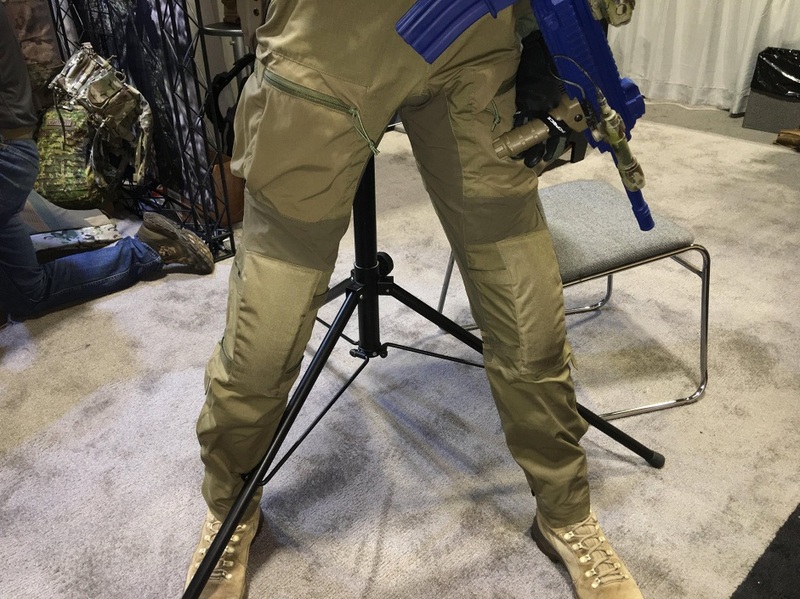 On the other hand, for tactical operations in the city, you may want to stay discreet by choosing a solid colour such as black, olive drab, or desert tan that doesn’t draw attention. What’s more, dark-coloured tactical clothes are easier to keep clean. In tactical situations, you’ll be moving a lot which means your feet can take quite the beating. To protect your feet from injuries and the elements, it’s important to wear proper footwear. Start by getting yourself some quality reinforced socks that provide arch and calf support, thus helping you to prevent injuries. What’s more, socks made of TransDry Cotton can help you keep your feet dry which can protect you against trench foot https://www.sciencedirect.com/topics/medicine-and-dentistry/trench-foot. Besides socks, shoes are obviously also important. Reinforced toes and puncture resistant materials are a must-have as you’ll be moving around all kinds of harsh terrain. Additionally, make sure that the shoes are made of a water-resistant material that can prevent your feet from getting wet.